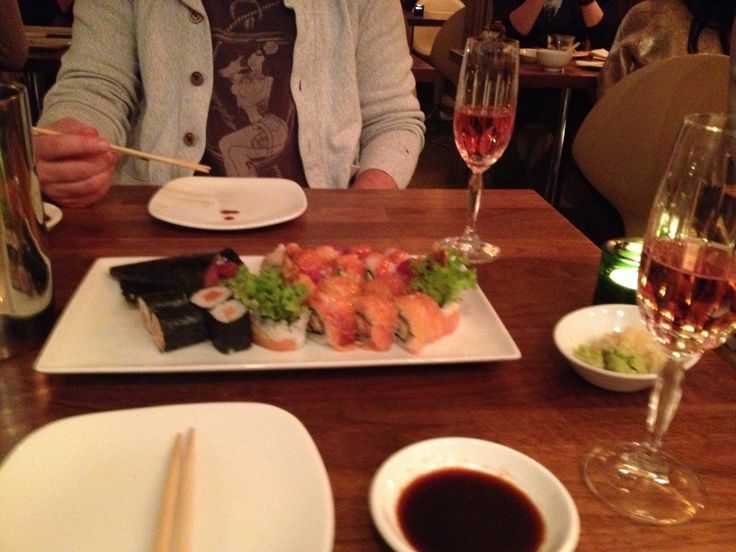 Drink: Personally I love some sparkling wine with Sushi… Its not too expensive and tastes great. If you dont mind spending more go for the Champagne. Eat: Sushi of course. The tourist area seems like a turn-off at first, but as soon as you enter Tomo Sushi you´re positively suprised. Its a small place with very good service. One of the best Sushi I had in Europe, so if you visit Amsterdam and are a Sushi lover you should go have a look. Price: Not the cheapest but good Sushi always has a price. Its a good price for the quality you will get. Do: Have dinner there and then have a look at all the Bars and Nightclubs in the area. This entry was posted in Netherlands, Places behind Food and tagged Amsterdam, Eat, Food, Sushi, Tomo Sushi. Bookmark the permalink.